One of the coolest things about being a financial nerd in the modern age is the surplus of fin-tech companies that are constantly emerging with exciting new programs and apps to try. It seems like every time I turn around I have an e-mail from yet another financial startup who has created amazing tools to help people manage their money and get their finances back on track. If you want to pay off debt, there’s a tool for that. If you want to invest in the stock market without paying advisor fees, you can do that too. You can even sign up with technology that will squirrel away money for you without you noticing! Cool, right? Below are six of my favorite personal finance tools, and if you have others ones you like, please share in the comments below! 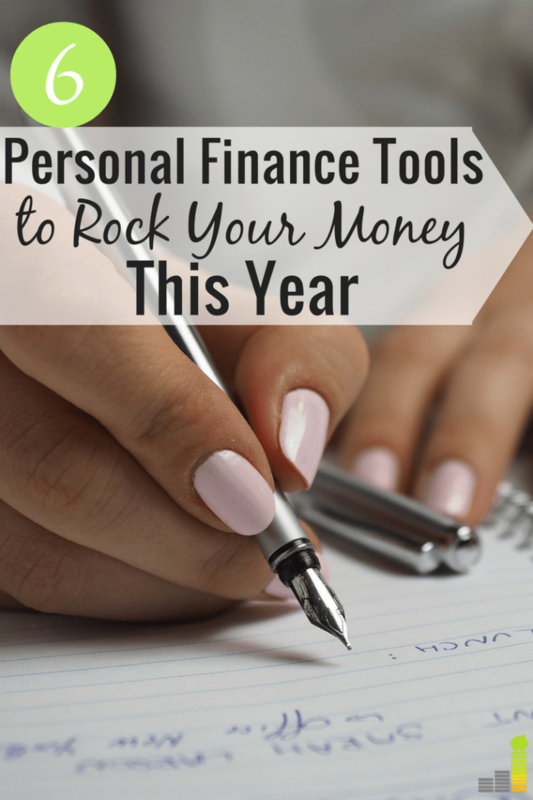 Personal Capital is the number one tool I use to track all of my spending and investments. I have literally tried just about every financial app out there, but this one is my favorite. It has a lot of extra little features that I couldn’t find in other apps, like marking which purchases we will get reimbursed for and sending me e-mails when my net worth goes up (hey, every percentage point counts!). All joking aside, it’s important to know how to calculate your net worth, and Personal Capital makes it easy by both doing the calculation for you and putting your net worth front and center on your dashboard so you’ll see it every time you log in. I know John also uses Personal Capital to manage his money. Check out the full review here. The best part about it is that it’s completely free, which is surprising because it’s an extremely nice program with lots of graphics and stats on your overall financial health. Digit is a very cool fin-tech app that analyzes your spending patterns and saves money automatically for you – for free. It takes little bits of money at a time from $5-$50 by analyzing your income and your spending and taking an amount you won’t notice. They put the money in a savings account which you can access any time. They also have a no-overdraft guarantee so you don’t have to worry about them taking more than you can afford. Many people think you have to have thousands of dollars to invest in the stock market, but that’s not the case at all anymore. In fact, with Stash, you can start investing with as little as $5! The cost for using Stash is only $1 a month for people who invest under $5,000. When you open a Stash account, you’ll answer some questions, which will help Stash better understand your investing personality. Then, they will recommend ETFs based on your answers. It’s a really cool way for anyone to get started with investing without having to save up a lot of money upfront. Acorns is another really smart investing app that invests your spare change. So, if you spend $1.73 on a pack of gum, Acorns will round up the purchase and invest $0.27 for you. Like Stash, Acorns will invest in ETFs based on the level of risk you’re comfortable with. Another really cool feature is that Acorns is completely free for college students for four years. Everyone else has a fee of 0.25% per year. With Betterment you can open investing accounts and retirement accounts too. Adjust your risk levels easily and get advice from the pros. What I really like about Betterment is that they reward you as your wealth grows. For accounts with less than $10,000 invested, the fee is 0.35% but once you get over $100,000 invested, the fee is only 0.15% per year – check out our Betterment review to learn more about how they work. I love using separate high yield savings accounts for my savings goals. I used to use Smarty Pig religiously but have just switched over to Synchrony Bank because their savings accounts earn a better interest rate of at least 1.85% and it’s very easy to set up multiple accounts. This is a lot better than most will find at a traditional bank. So, this is where I keep my emergency fund and my Christmas fund. Another savings goal I am working toward right now is saving to buy my husband a violin because he is currently just renting his until he can afford one of his own (a decent one is about $1,000). High yield savings accounts are great because you can access your money when you want to but they are still earning a little bit of interest. I have used them for years as a way to save for specific goals, and I highly recommend them! 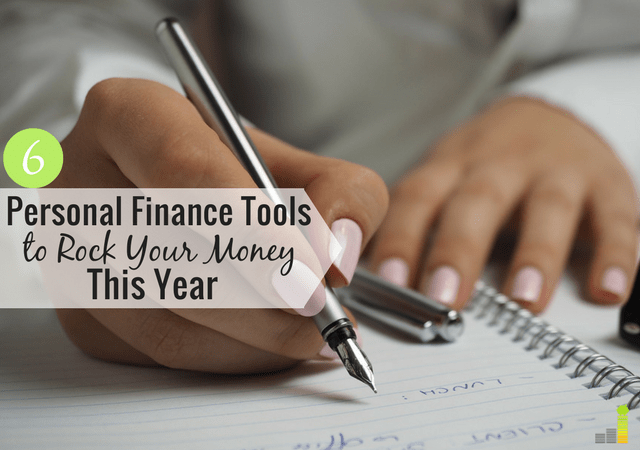 There are so many other great financial tools out there to help you with your finances this year but the ones above are my favorite. Do you use an app to track your spending? Do you use financial apps for investing or a robo-advisor? Please share in the comments. I’m always on the lookout for new tools to use.